Years back, a friend of ours wrote out, long hand, a much-loved family recipe, that took up three full pages. Of course, there were drawings and off-topic suggestions ("while dough rests, have a drink"), but we suspect that most recipes need to take up the better part of a page. Then there is Martha Stewart. 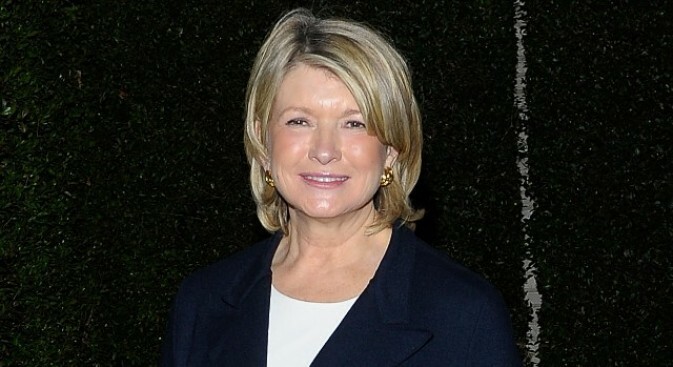 If Martha -- in our minds we call her Ms. Stewart but in our hearts, of course, it is Martha -- could directly feed a recipe into our brain via future-laser osmosis, we feel she probably would. She's that efficient, and that able to break down something huge into easy little steps. Exhibit 156B: The doyenne of all that is good and domestic is now Tweeting recipes. In 140 characters. Or less. Recent entries: Braised Escarole & Broccoli Rabe, Tetou Aioli, and Easy Garlic Bread. You should probably know your food/measurement abbreviations, because there's a lot of info crammed into those quickity-quick paragraphs. But it is all ultimately straightforward. All elegant. All Martha.